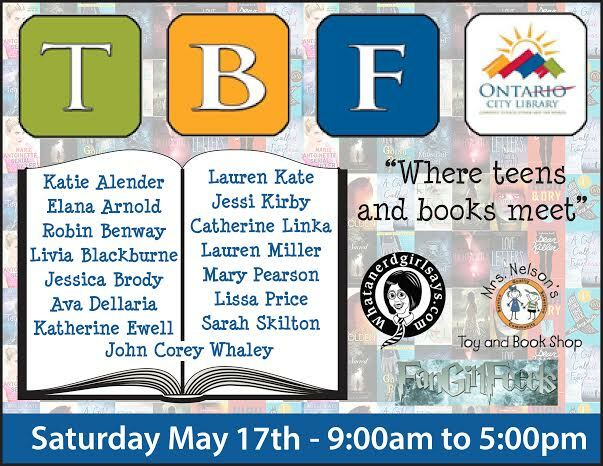 Welcome to the latest stop for the Ontario Teen Book Fest blog tour! Today I’ll be spotlighting and interviewing Livia Blackburne, but first: a bit of information about the event. The event is located at Colony High School, 3850 E. Riverside Drive, Ontario, CA 91761. This is a free and unticketed event, so if you’re in the area, stop by and visit a few authors! I personally won’t be there, but I know several bloggers will, including Sara from What a Nerd Girl Says. This event is sponsored by Mrs. Nelson’s Book Fair Company – I had some fantastic experiences with them when I was at the LA Times Book Festival last month, so I know it’ll be an event worth attending! And now to the author spotlight: Livia Blackburne. When Sara emailed me a list of authors, I immediately jumped at the chance to interview Blackburne; she and I had spoken before, and I had just finished reading her novella Poison Dance. So without further adieu, here’s some more information on Livia and her books! Livia Blackburne was born in Taiwan, raised in Albuquerque, and spent her twenties in Boston, where she studied biochemistry at Harvard and neuroscience at MIT. 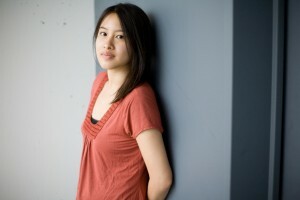 She writes mainly YA fantasy, and started her debut novel Midnight Thief in high school. One of her biggest influences was Tamora Pierce, and some of her favorite books include The Hunger Games by Suzanne Collins, Code Name Verity by Elizabeth Wein, and Daughter of Smoke and Bone by Laini Taylor. Another fun fact: she has a very low tolerance for chocolate and sugar in general! You can read Livia’s full bio on her website. 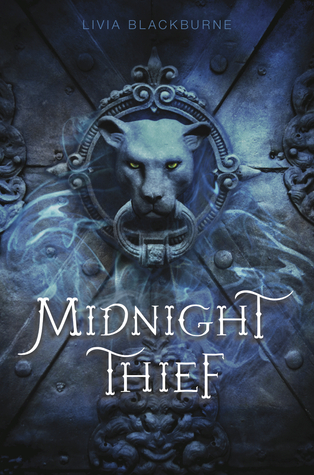 Midnight Thief, Livia’s debut novel, will be published July 8, 2014 by Disney-Hyperion. Check out this amazing synopsis! I also had the chance to interview Livia, and she gave me some great responses! 1. Your debut novel, Midnight Thief, publishes this year – what has that journey been like as you work through the publication process? As I’m sure you know, publication is a long journey. I first started writing Midnight Thief in 2007. So there’s definitely been a lot of writing and waiting, interspersed with high adrenaline nailbiting moments. I think what’s tied it all together is the chance to interact with people who love books. Everyone from writer friends I met along the way, to my agent and my editorial team. Just having this excuse to immerse myself in stories to such a degree has been wonderful. 2. I’ve read Poison Dance (loved it, by the way), the prequel novella to Midnight Thief. How important is that novella to understanding the novel? And – without spoilers! – what role does James play in the entire plot of your book? I’m so glad you enjoyed Poison Dance! It’s free on all the e-book vendors right now, if anybody wants to give it a try. It’s possible to read and understand Midnight Thief without reading the novella, though Poison Dance will give you a much better understanding of James as a character. He’s very closed off and reserved, and because the novel is from Kyra’s point of view, there’s a lot of his story that’s only hinted at in Midnight Thief. I’d say Midnight Thief gives you the cliff notes version of James’s past, whereas Poison Dance is the real thing. In Midnight Thief, James is the mysterious head of the Assassins Guild. He’s smart, politically minded, and darkly attractive. He has a job for Kyra, and he pays her well. But he clearly has secrets and plans that Kyra doesn’t know about. 3. What was your favorite part of writing Midnight Thief? Is there a specific scene that really stands out to you, or was a personal favorite? I think my favorite part about writing Midnight Thief was just realizing that I had these stories and characters in my head, and now they were on paper and I could share them with everyone else. When I started getting feedback from my first group of beta readers, after they’dd read the entire novel and they came back to me with their thoughts, it was really special just to realize that those characters they were talking about and rooting for came out of my head! As for a personal favorite scene, that’s hard! There are three male leads in Midnight Thief, and they all affect Kyra in important ways. There’s her best friend Flick, James the assassin, and Tristam the young knight trying to capture her. Each character has a key interaction Kyra that affects their relationship deeply, and those are my favorites. Without going into spoilers, these scenes are 1) when Flick gets reeaaally mad at Kyra, 2) THE CONVERSATION with James in Kyra’s room, and 3) when Tristam and Kyra finally interact for the first time. Haha, well, I didn’t use any specific poisons that I learned about in my classes. I got the inspiration for lizard skin venom from a nature magazine I read as a child (though in real life, it’s poison from the skin of rain forest frogs that’s used to poison arrows). I do use some general knowledge about chemicals and anatomy in my world building, basic concepts like whether or not molecules break down, whether some poisons might work better through one method of introduction compared to another (swallowing versus stabbing, etc). The one bit of information that I did learn from classes,that poison accumulates in the liver, I edited out of the final draft because we decided that their medicine wasn’t advanced enough to know that. 5. Because I’m an aspiring author, and since a lot of my followers are also aspiring authors, what is one piece of advice you would impart now that you’re publishing your stories? 6. I also have to ask: plotter or pantser? I’m definitely a plotter. I actually tried to pants Poison Dance for NanoWriMo, and after a week I got so stressed out about the uncertainty that I had to pause and outline again. My outlining process includes a lot of writing though. A lot of times, I sketch out rough scenes while I’m outlining and throw out a lot of rough scenes, so I guess you could call that pantsing, except without going to the trouble of doing an actual draft. As a part of this blog tour, there’s a giveaway involved! There’s some great prizes included, including signed swag from all the authors at the event! This is NOT international, sadly – sorry guys!